Ride along virgin white sand beaches and exotic jungle. Make a stop at the best view in the Peninsula. Personalized tours for day or night riding, with food & drinks of your request. Horses are loved & well cared by professionals. Vista Paraiso Equestrian Club, located just 10 minutes from Sayulita in HIguera Blanca, offers an unrivaled Equestrian Center with professional instruction in multiple disciplines. Never learned to ride a horse? Want to perfect your skills? No problem, you are in good hands with Pablo at Vista Paraiso. We offer prívate or group riding lessons conducted by a profesional instructor in the disciplines of Show Jumping, Dressage, and Pleasure riding. Natural training for all levels. Enroll in our one lesson, three day clinics, weekly program or monthly program and become a more accomplished horse rider. We have several lesson packages that will suit your needs and abilities. We also offer horseback riding tours through the jungle and on nearby beaches. Professional Instructor: Pablo Braunschweig who has 25 years of experience teaching in Europe and the Americas, in the discipline of Show Jumping, Dressage, Pleasure riding, Horsemanship and stable management from beginner to advanced levels. Ground work mostly based on the Monty Roberts technique and personal experience. Be sure to check out our, "Menus & More" tab above for a full description of our services and what is included in all lessons! We stumbled upon this place by accident and what a gem. It was revolution day and they had a lovely local band and they were doing a display of dancing stallions! It was life changing! They welcomed us to stay and watch and also to view the brand new foal that was born the previous day. We went back a few days later and I went on an ATV ride. Fantastic! Micho and Christopher were the best guides ever! Emmanual welcomed us back at the ranch and was full of helpful information about the ranch and the area. Definitely more than worth it!! We had such a blast In May 2018! We went on 2 different days and did ziplining one day and horseback riding on another. Staff are absolutely amazing, friendly and make your time so very enjoyable! The ranch has a farm like feel where you can see chickens, turkeys, deer, horses, even the Perisian Dancing Horses to see. We highly recommend this as a place to go for an adventure! This place is the best! Recommended by The Four Seasons and St. Regis as the best ziplining and equestrian center in the Puerto Vallarta area, we couldn’t agree more. A beautiful, privately owned 1,200 acre well manicured ranch that backs up to a mountainous jungle. The 10 zip lines are intimidating, but the view of Punta Mita and the entire Banderas Bay is ultra rewarding. Our guides, Eric, Roberto, Moises, Alejandro were focused on both safety and providing a really fun time for all the guests. The restaurant with its delicious food and Tequila tasting room located next to a lovely pond, we’re a great conclusion to an exhilarating adventure. We returned again to Vista Paraiso three days after our zip line canopy tour, to use the equestrian facilities. We own and ride horses in California and we were so happy to see well cared for horses and great trainers and guides that provide both English and Western tack and lessons in a full size arena with excellent footings,as well as riding tours through the jungle and onto a pristine beach. Vista Paraiso is a total gem. The employees are genuinely happy and enjoy their jobs. The facilities are spectacular. The activities are well coordinated and efficiently run. Far from the hustle and bustle of crowded resort sponsored “everybody on the bus” type of experience - this place feels like a truly personalized piece of paradise! 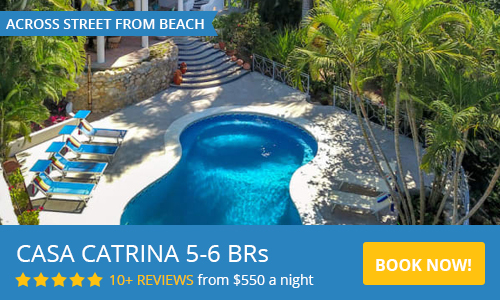 We can’t wait to go back to Vista Paraiso! The Ranch is a place of learning, healing and laughter. I had awesome time taking horseback riding class with Pablo and I can not wait for the next lesson. The scenery of the school is amazing, instructor knowledgeable and horses beautiful. Pablo G. Braunschweig. Professional Advanced Instructor, with more than 25 years of experience. Teaching equestrian jumping, training, equinotherapy and stable management, among others, both in Europe and in Americas.